To emphasise the innovation message to the textile, garment and fashion industry, CEMATEX, the European Committee of Textile Machinery Manufacturers, has launched the ITMA Innovation Lab. The focus on innovation at ITMA 2019, which will be held in Barcelona, further underscores the ITMA 2019 theme: Innovating the World of Textiles. 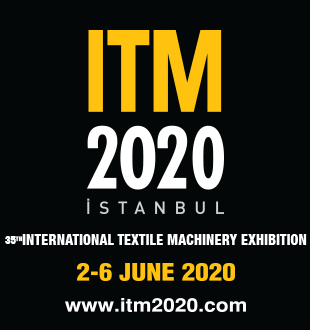 Online visitor registration for ITMA 2019, the world’s largest textile and garment manufacturing technology showcase, opens today. Held every four years, the exhibition will be staged at Fira de Barcelona, Gran Via venue, Spain, from 20 to 26 June 2019. ITMA 2019 will feature a number of industry-leading knowledge-sharing events to facilitate sharing and collaboration among global textile and garment industry members. Hot button issues such as sustainable innovation, Industry 4.0 and automation will be on many agendas during the show. Underscoring its commitment to innovation, the European Committee of Textile Machinery Manufacturers (CEMATEX) will continue to promote excellence in research and development at ITMA 2019. The CEMATEX Research & Innovation Grant will help defray participation cost of eligible educational and research organisations at the Research & Innovation (R&I) Pavilion by at least 50%. ITMA 2019, the world’s largest textile and garment technology, has received strong response since online applications opened in May. Some 25% of the exhibition space has been booked by more than 300 exhibitors during the first six weeks, according to ITMA Services, the organiser of ITMA 2019. ITMA, the world’s largest textile and garment technology showcase will continue its focus on innovation for its upcoming edition in Barcelona in June 2019, with the main theme of the show being ‘Innovating the World of Textiles’. The world’s largest textile and garment technology exhibition, ITMA 2019, is spotlighting smart garment technologies as robots and artificial intelligence are set to revolutionalise the industry.